Category Archives for "Hunting Rifle Scopes"
Your definition of “varmint” may be different than mine. To me, a varmint is any inedible critter that may potentially cause damage to the ecosystem if its numbers are left unchecked. However, we’ll probably both agree that one of the most effective ways to keep them in check is with a small-caliber centerfire rifle. And the only way to do this with any amount of success is with the help of quality optics, both to find these critters and to place bullets accurately. The class of optics you might use in varminting can be separated into two groups: those designed for shooting and those designed for hunting. Those designed for shooting–long telescopic riflescopes with large objectives, whisper-thin crosshairs, and high top-end power ratings, and monstrous binoculars that jiggle when you blink your eyes–don’t necessarily roll over into the hunting aspect of varminting. 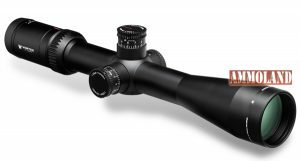 But optics designed for hunting applications–low-power variable scopes and binoculars that you can handhold–can get the job done whether you’re after coyotes, prairie dogs, groundhogs or whitetails. Though I enjoy spending a few hours on any given sunny day overlooking a prairie dog town with a bull barrel .22-250 and a scope that weighs nearly as much as the rifle and is almost as long, my real passion is in hunting–not necessarily in shooting. So it follows then that on my varminting rigs, excepting guns designed specifically for shooting from a bench, I prefer optics more suited to the former. It’s a matter of versatility. I decided this several years ago on a prairie dog shoot in western Colorado. I didn’t bring my own gun along on that shoot and used a heavy barrel Ruger M77 in .223. It’s the exact type of gun you’d expect to have on a prairie dog shoot, but it featured a 3-9X Simmons V-TAC variable (which has since become a Weaver product, marketed under the name Tactical). At first, I was concerned that it would be inadequate for the small, distant targets, but I couldn’t have been more wrong. In fact, during the midday heat, I actually had to turn down the power to 6X or 7X to see through the heat waves when squeezing off on ‘dogs at ranges up to 300 yards. Since then, I’ve had good success using a number of low-power variables on small targets, preferring nothing with more than 16X at the top end–even when using scopes with specialized reticles. A Pentax Lightseeker AO in 4-16X with a mil-dot reticle was an excellent performer two summers ago, and more recently I enjoyed shooting a Weaver V16. Either of these scopes would be at home on a heavy barrel varmint rig or a flat-shooting big-game rifle along the lines of a .300 Win. Mag. or 7mm Rem. Mag. If your varminter is a sporter-weight rifle used to hunt a variety of small game, then I’d suggest an even smaller variable with no more than 10X at the top end and 3X or less at the bottom end. Quite often, the versatility you’ll need will come at the lower end of the power range, not the top end. High-power binoculars, such as these Pentax PCF III 20x50s, are great for long-range shooting. However, the same binoculars in 8X are more useful over a broader range of varminting scenarios. I have a little tack-driving Savage 16FSS in .223 and fancy it mostly as a coyote rig. While calling coyotes in Texas one afternoon, a gray fox scampered from the heavy cover in front of me and stood at 20 yards. Fortunately, I had a 1.5-6X Swarovski scope mounted on the rifle and had a precious few seconds to back the Xs down for a decent sight picture. I took that fox home, but only because I could see it through the scope at low power. With the same scope turned up to 5X or 6X, the rig becomes fully capable of potting prairie dogs out to 200 yards. You probably have a scope capable of such versatility on your deer rifle. Because all spotting scopes are used with a tripod and feature a great deal of magnification, they don’t really fit into my argument for fewer Xs. Binoculars definitely do, though. But remember, I’m basing my bias on one point: versatility. If you’re an ardent prairie dogger or groundhog shooter with little interest in other types of varminting, you definitely are best off with the largest, brightest glass you can afford. Mount it on a tripod, and you’ll have an optimal binocular setup. However, large, high-power binoculars are uncomfortable to carry, and they offer a smaller field of view in most cases, as well as shallower depth of field. The higher you go in power, the worse these conditions become. So if you need binoculars that you can wear around your neck while calling coyotes in the back woodlot and also spot small critters at 300 yards with, you’ll have to step down in power and size. Utility demands this. Roving for rockchucks in the Rocky Mountains is not unlike hunting deer or elk. 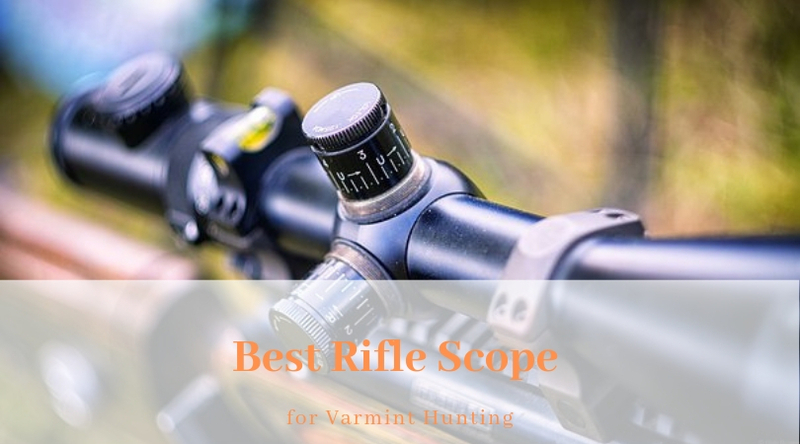 For this type of varmint hunting, the author prefers lightweight binoculars and a variable-power scope in the 3-9X range. Medium-size binoculars, something along the lines of the Pentax PCF III series in 8×40, are an excellent choice for all-around use. 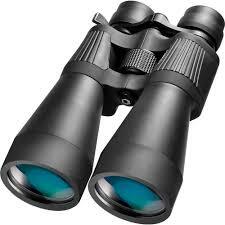 Binocs in this power range offer great field of view and depth of field. I had the chance to use the PCF binoculars for a couple of days two summers ago when they were still relatively new on the market. They proved to be a good mix of durability, brightness and price. For more mobile varminting situations, you may even want to go with lighter, more compact binoculars. Weaver has a line of relatively inexpensive binoculars that worked well for me last summer while roving around the Colorado countryside searching for prairie dogs–and I’ve since had them along in the far north and was pleased with their use in spotting caribou. There’s nothing wrong with high-power optics for use in varminting. They are the most efficient tools for some forms of the sport. But by stepping down in Xs, you’ll find that you can be much more efficient at keeping varmint populations in check–under a variety of field conditions.